We want to share a quick update on the next steps for City Plan adoption. The adoption timeline has shifted a bit to allow adequate time to incorporate edits and comments from the community, City Council, and City staff. We are now scheduled to present a revised draft City Plan to City Council at a work session on Tuesday, March 26. Council will consider adoption of City Plan on Tuesday, April 16. This will be the last session of the current Council. If you were planning to attend or watch the adoption hearing, please update your calendars accordingly! The public review drafts of City Plan and the Transit Master Plan are now available! 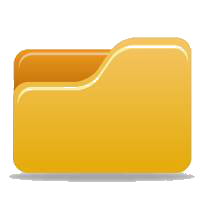 You can download the documents at the links below or in the Document Library. These drafts contain all of the previously released portions of City Plan (Vision, Big Ideas, Principles and Policies) and additional, more detailed sections for the City Structure Plan, Transportation Master Plan, and Transit Master Plan. Please note that these are large files and may take some time to download. Copies of the draft documents are also be available at the Old Town and Harmony Libraries for public review through March 19. Edits to these draft documents are ongoing. The final draft that will be considered by City Council will be available around March 15. Now Available: City Plan's Draft "Big Ideas"
Our community vision is the why. It helps everyone understand what kind of community we want to be in the future and sets the direction for policies, programs, and decisions. The next piece of City Plan we'd like to share with you is the draft "big ideas" in the plan. This part of the plan is the what. It builds on the community vision and describes the changes, actions, and priorities we will need to focus on to achieve our shared goals for the next 10-20 years. So what do you think about the big ideas? Does City Plan go far enough? Too far? 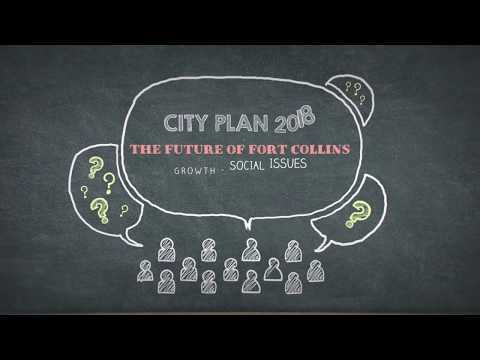 Will the big ideas get us to the kind of future you want for Fort Collins? Check them out here and let us know! Remember, you can always send us comments about any part of the plan during the public review period by emailing cityplan@fcgov.com. It's going to be a busy few months for City Plan! Our New Year's resolution is to get City Plan ready for a mid-March adoption date, and we need your help to shape the final content. Over the next couple of months, we’ll be releasing draft content every few weeks for your review and suggestions. Are we setting the right tone with the community vision? Are there still gaps in our policy direction for an important community issue? Are those oxford commas just too much? Everything is fair game and we hope you’ll take the time to help us improve the draft plan before we present it to Council for their consideration. We will be sharing specific content and asking key questions for each piece of the City Plan draft, but you can always send us comments about any part of the plan during the public review period by emailing cityplan@fcgov.com. Right now we are looking for input on the Draft City Plan Vision, available here! We'll be hosting another round of public meetings, Plan Ambassador gatherings, and Community Partner events to share the draft plan in early February. We are still finalizing dates and venues, so stay tuned for more information about when and where we will be holding draft plan open houses. Missed the Future of Transit Panel? Watch It Online! If you missed last month's Future of Transit panel discussion, you can watch a recording of the conversation here. We are also asking a few questions about the future of transit in Fort Collins - click on the "Future of Transit" tab to share your opinions through the end of December. The City Plan scenarios include the potential for varying levels of expansion of our transit system, including bus rapid transit (BRT) and high frequency lines. Trends indicate that new technologies will likely result in new types of service not yet prevalent in the industry. Before finalizing a preferred scenario, the City Plan invites you to join us for an exploration of the ways these new technologies could impact transit provision in the future. The panel will include experts discussing future trends in transit and mobility, with an introduction from Mayor Wade Troxell and time for Q&A from the audience. Topics include on-demand service, shared mobility innovations, autonomous vehicles, and expansion of and funding options for transit service in Fort Collins. Click to RSVP. Appetizers will be provided. Childcare and interpretation are available - please RSVP at least one week in advance to help us provide the right resources! Questions and additional information: Contact Seth Lorson (slorson@fcgov.com or 970.416.4320) or email us anytime at cityplan@fcgov.com. Note: The Scenarios questionnaire is now closed. Thanks to all who took the time to share their thoughts! A summary of feedback from the Scenarios phase will be available soon. The City Plan Scenarios questionnaire is now available! We will be accepting responses to the questionnaire until Friday, November 2, 2018. Please continue scrolling below to take the questionnaire. Note: A full-screen version of this questionnaire is also available at https://www.surveygizmo.com/s3/4594047/City-Plan-Scenarios. Due to the large number of images and videos in this questionnaire, it may be easiest to complete your response on a desktop or laptop computer instead of a mobile phone. An online questionnaire will be available soon, so stay tuned! Input received at the workshops, from Plan Ambassadors, and from Community Partners will be summarized and posted in the document library as soon as it is available. Coloradoan: Should Fort Collins prepare for growth with taller buildings and more buses? Fort Collins will undoubtedly be a different place in 2040. But how radically should the city lean into emerging trends and forces that will shape that change? Do you remember last fall's Community Issues Forum? 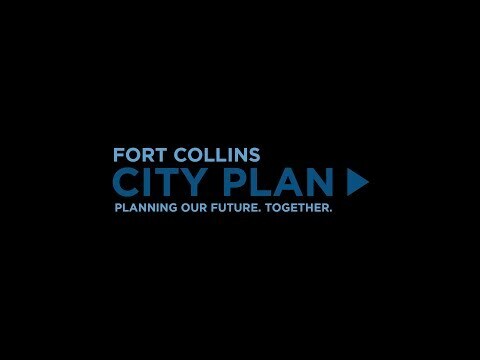 Twelve groups of 6-7 participants, along with Center for Public Deliberation facilitators, worked together to discuss how Fort Collins could best accommodate 70,000 new residents in the future. The report of results from our "LEGO Buildout Game" is now available! There is also an interactive map of results available on the Center for Public Deliberation website. Click here to check it out. Many thanks to our partners at the Center for Public Deliberation for their help refining and testing the game, facilitating the forum, and compiling and analyzing more than 780 individual comments!